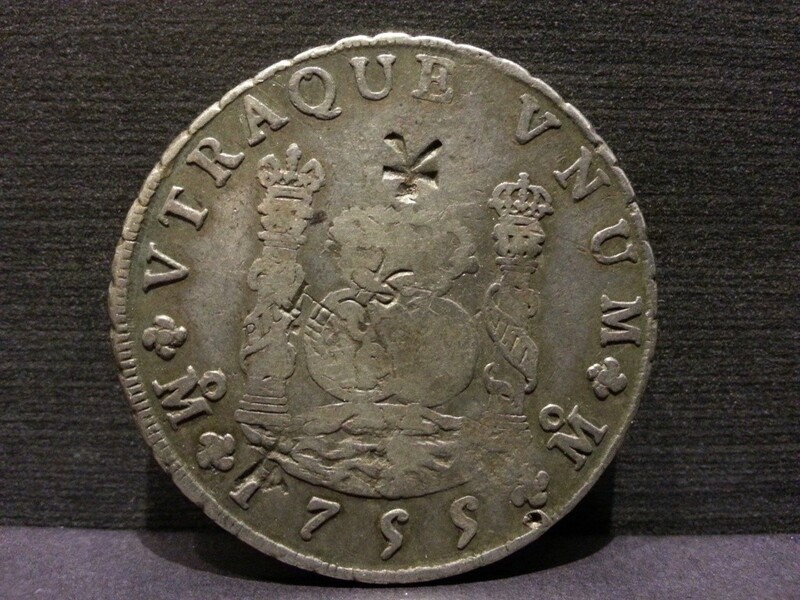 Mexico 1770-MoMF 8 Reales with counterstamp real? The host coin seems genuine but can you provide a closer picture of the counterstamp and the coin's rim. This is a bust regal counterstamp of Great Britain in the late 1700. Thanks. Thank you for your respond. Please check out detailed snapshots. I've been searching through internet for days and couldn't find out how to determine this coin and give it a right value. Can you also give me a bit advice where can I value it? thank you. The coin and the counterstamp seems both genuine. 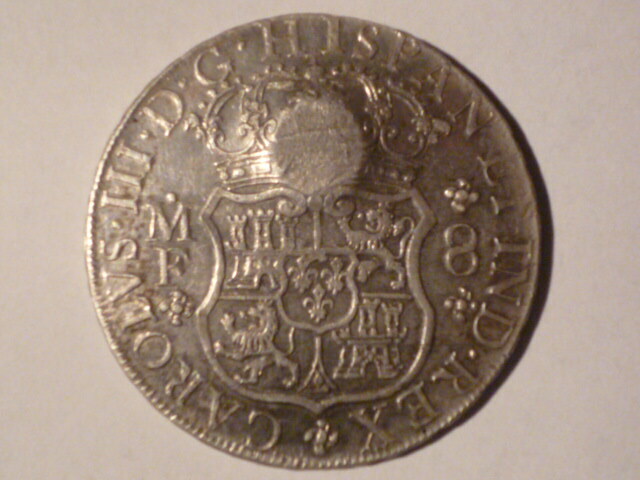 This is George III of England counterstamp when England had shortage of coins. 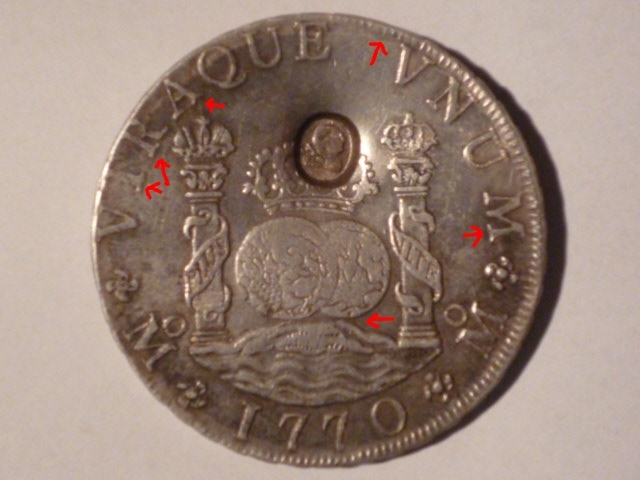 They used coins from other countries revalidating them by using counterstamp with the bust of George III. After careful examination of your coin, it seem that this coin is a a modern day fake. Sorry for my first comment but I had to get back to my collection of counterfeit and genuine dos mondos so I could compare your coin with them. It seem that this is an improved modern day Chinese fake. My previous specimen compared to yours are not that good and seem that the makers of coins such as yours have already perfected copying the real dos mondos. I myself have almost been fooled by this coin because the rim has already improve and otherwise the legend. Modern day fakes are almost as good as the genuine coins if not for some noticeable details for the trained eye. The counterstamp otherwise is also a fake so I feel sorry for your purchase. By the way, how did you acquire this coin? Here is a genuine GB counterstamp on a dos mondos. This coin was sold for $3250 at Heritage World Coin Auction. How come that this coin is fake, it seem genuine to me. Can you please tell us the difference between the genuine coin and the fake coin. I still don't get it. Thanks! The most recognizable characteristics of the modern day fake dos mondos are the rim, the edge, the legend, and the wave. Fake dos mondos have "trident pattern rim" compared to "tulip pattern rim" of the authentic. Fake one have "sharper toothed edges" unlike that of the authentic. 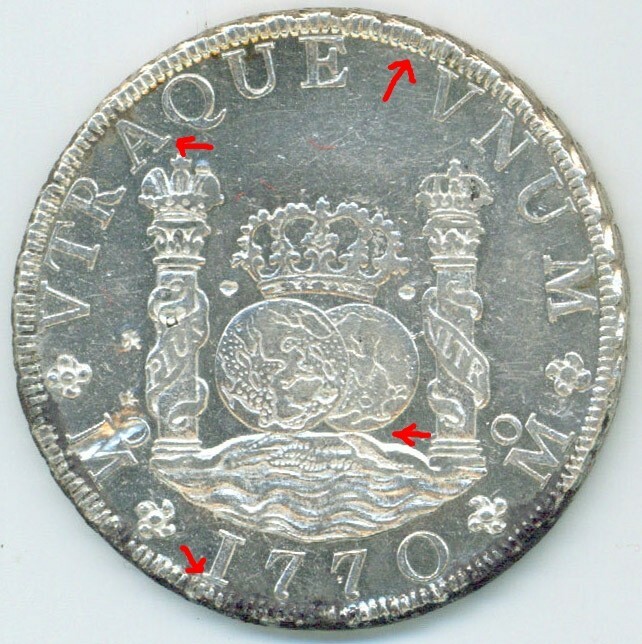 The legend lettering of the fake ones are patterned over the portrait Mexican 8 reales particularly those minted in Zecatecas and finally, there is a wider gap between the globe and the waves on the fake dos mondos coins. Normally, counterstamp coins do not wear as much, and a great amount of detail remains with the host coin. 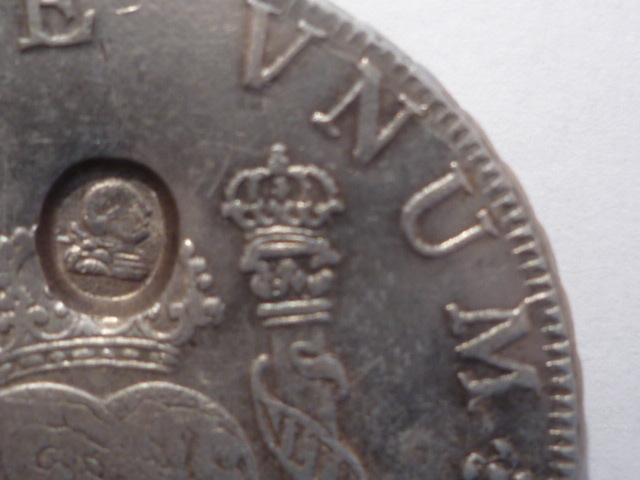 Of course, how much detail remains in the counterstamp still depends on the overall wear of the host coin. In my opinion, host coin is real, stamp is fake - just as filipinonumismatist said. I appreciate your very good observation however, I regret to inform you that even the host coin is definitely a modern fake. I have studied the dos mondos coins from genuine, counterfeit, and modern fakes. Excellent fakes nowadays are very hard to tell because they are also made of silver outside and of the exact weight and Fakers have also learned how to tone silver reales correctly. However, these are the simplest clues you have to use to determine the authenticity of the dos mondos if weight and material have failed your judgment. Dos mondos letters have strong footing compared to fakes with two-toed footing on the bases of the letters particularly recognizable on letters "A" and "R". Dos mondos edges otherwise have close toothed edges unlike that of fake ones which have sharp toothed edges which resembles that of cones. Actually I didn't pay attention with there host coin as much. I have very good experience with detecting fake coins but I would need to see and hold them in person. I wouldn't be surprised if this one was a fake as well because it has an obvious fake contestants to it. You can never always be 100% correct all the time. Trust me, I've witnessed some coins, that even dealers who've bought and sold coins from their entire life (decades), could not authenticate. But when it comes to something that completely looks real except for one thing (in this case, the counterstamp), we'll pass. Yes you are correct, that is why we need such information so the community will know. The hobby is getting complicated each day because of such craftiness. Thanks again. Actually I didn't pay attention with the host coin as much. I have very good experience with detecting fake coins but I would need to see and hold them in person. I wouldn't be surprised if this one was fake just because it has an obviously faked counterstamp. You can never always be 100% correct all the time. Trust me, I've witnessed some coins, that even dealers who've bought and sold coins for their entire lives (decades), could not authenticate. But when it comes to something that completely looks real except for one thing (in this case, the counterstamp), we'll simplt pass. Now that I look at the coin in detail, I can tell it is an obvious fake! Just look at how the numbers on the year look like, says it all... the "0" as well... it looks too big and unlike what I've seen before. 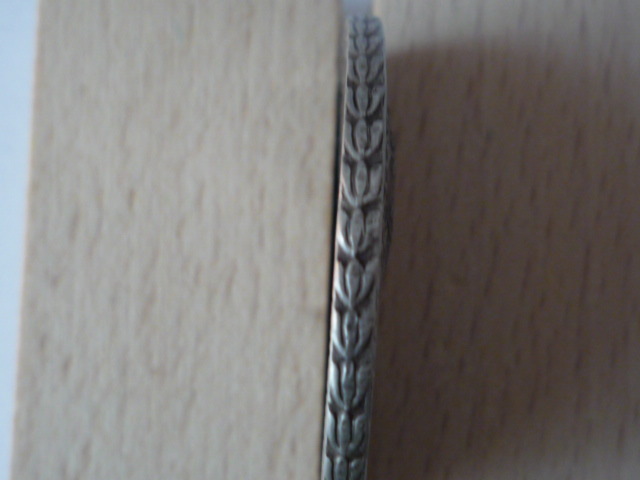 I have one from 1700s too, with chopmarks on them, and how the year was stamped on mine is completely different. I'll upload the pics if I find it - just for comparison. Here is one I bought a year ago. It has Chinese chopmarks. 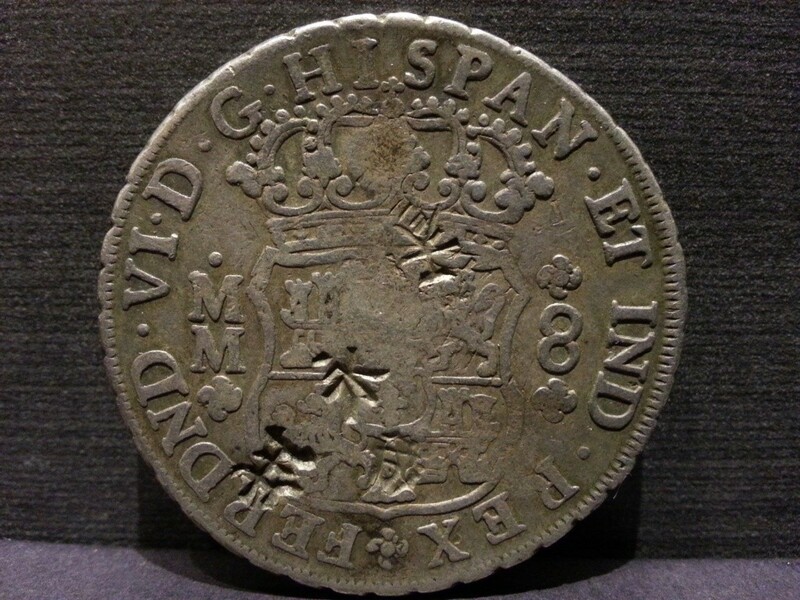 Hispanic coins were circulated in the orient back in the day, and "Authenticated" as genuine silver currencies by merchants by having symbols counterstamped on them; thus, revealing to anyone who holds the coin that it went thru them and passed the test. Also means, they will accept it back for trade. I'm not sure if the characters were randomly selected or stamped, there are many claims out there. Interestingly, mine has the characters 永 and 生 next to each other which if combined means "forever; eternity." 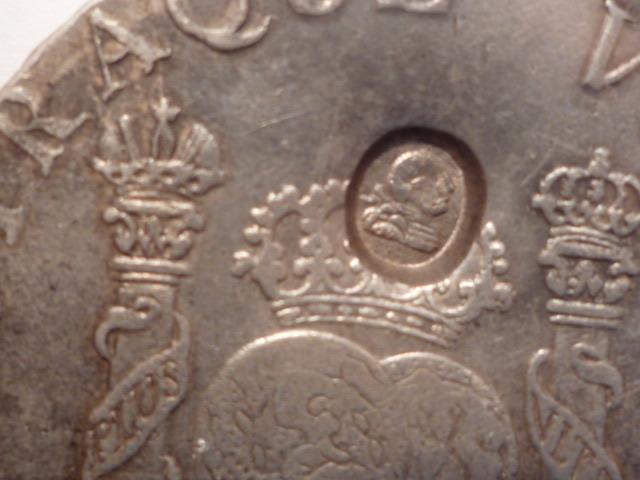 Beside the number "9" on the far right, you'll see what looks like a drilling near the edge of the rim; this is how they tested these coins for silver purity. I grade this at F12 host. That is a nice coin. Really love these "dos mondos" in any grade. Nice one with those chopmarks. 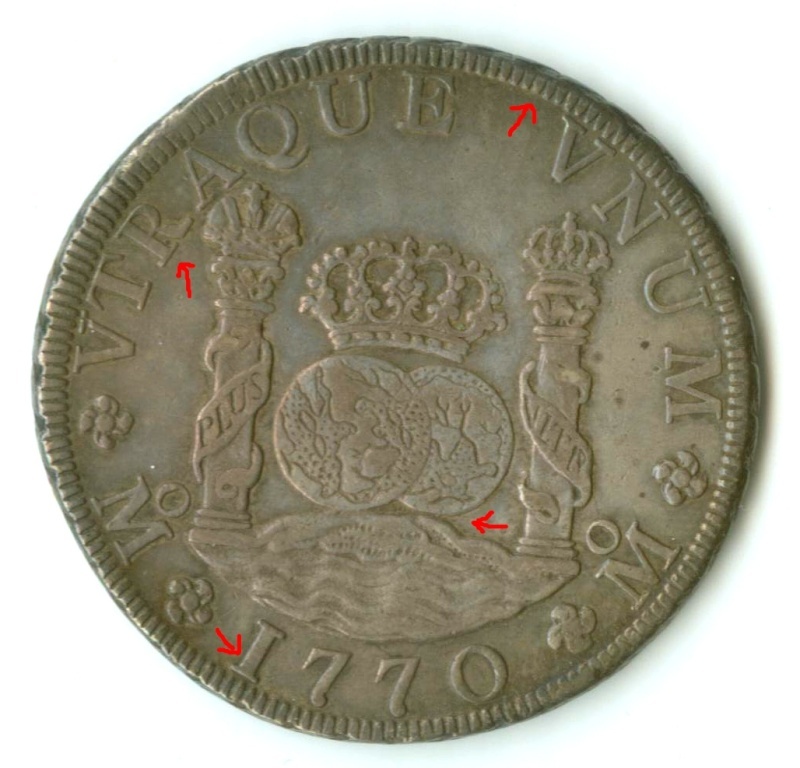 Subject: Re: Mexico 1770-MoMF 8 Reales with counterstamp real?